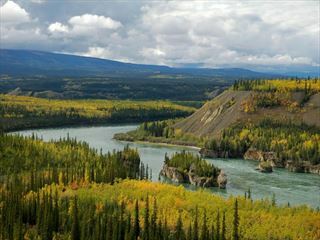 Explore the striking beauty of the Yukon and Alaska on this self-drive adventure. 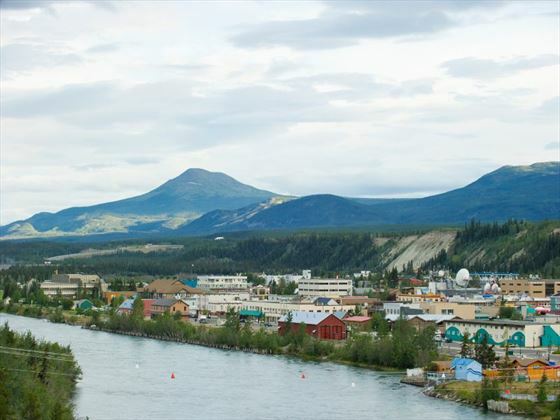 Beginning in Whitehorse, you’ll journey through the mountainous scenery of this astonishing region, visiting the Denali National Park, Tok, Dawson City and Anchorage. 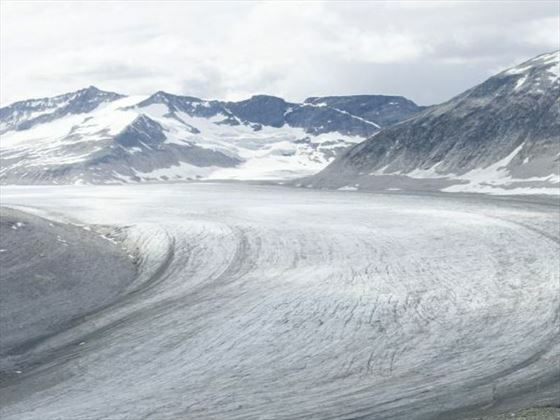 You will visit Gold rush towns where fortunes were made and lost in the last 18th century and travel through spectacular glacial landscapes, just a few hundred kilometres below the Arctic Circle. Travel inspiration: From uncovering a flourishing arts scene to cycling and hiking some incredible wilderness trails, we share the top 10 things to do in Yukon Territory. Arrive at Whitehorse airport, pick up your hire car and then drive to your hotel, where you will pick up your road-book. 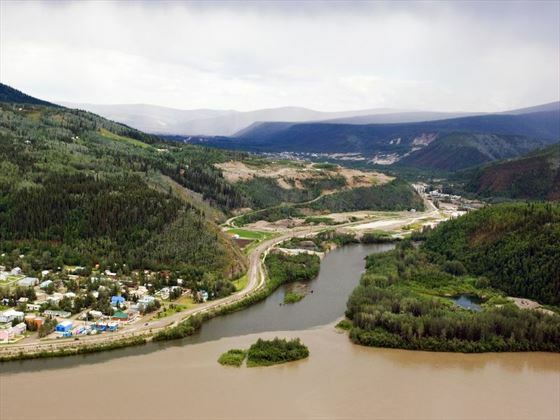 Whitehorse is a charming town, an important staging post during the Klondike Gold Rush and home to several important and interesting historical sites. Head west through the small villages of the territory to Haine’s Junction located on the edge of the spectacular Kluane National Park. Overnight in Haines Junction, a truly wilderness town surrounded by rugged but beautiful landscape. Once you've checked into your hotel, you should visit the Champagne and Aishihik First Nations' Da Ku Cultural Centre to learn about this fascinating area and its inhabitants. Embark on an incredible “flightseeing” tour to get a birds-eye view of the national park. The St Elias mountains rise up from the glacier fields, dominated by Mount Logan at 6000 metres high. Then continue west towards the international border, and check into your Beaver Creek hotel. Here you will be able to enjoy hiking trails of varying degrees of exertion, to explore the rugged surroundings. You will travel the Alaska Highway, crossing into the United States, passing through a series of small towns that have played their part in the history of Alaska, such as Tok, Delta Junction and Eielson. Today your route will be along the George Parks Highway, across the Tanana River and onto the Denali National Park. You can choose to enjoy several outdoor activities in this pristine wilderness, such as hiking, canoeing and fishing. 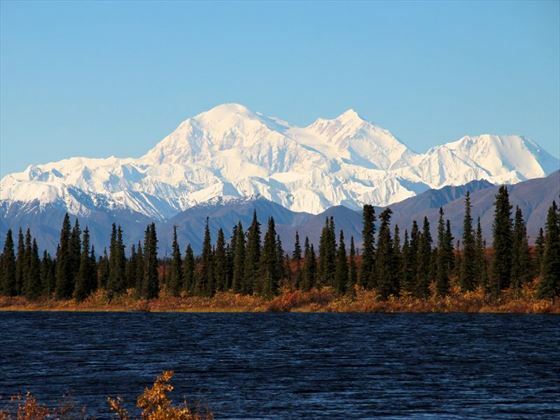 Continuing south you will spot North America’s tallest peak – Mount Denali at 6193 metres. 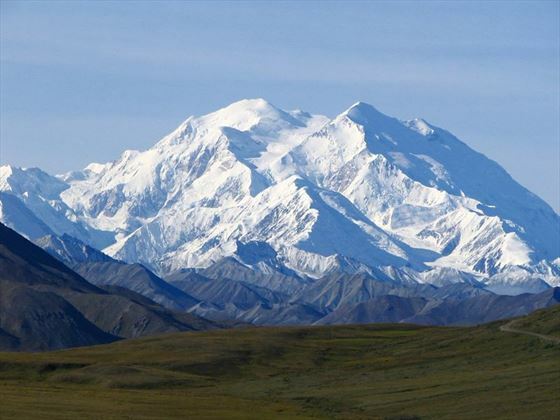 You will have two nights in Denali National Park. You have a full day to explore this stunning National Park, and you can choose to enjoy several outdoor activities in this pristine wilderness, such as hiking, canoeing and fishing. 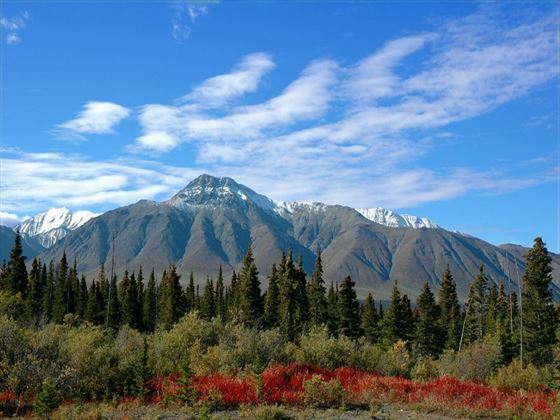 The protected parklands stretch out serenely beneath the shadows of the majestic Mount Denali, giving visitors the opportunity to see moose, caribou, grizzly bears and Dall sheep. Continue your adventure southbound, traversing vast woodlands or spruce, birch and aspen. 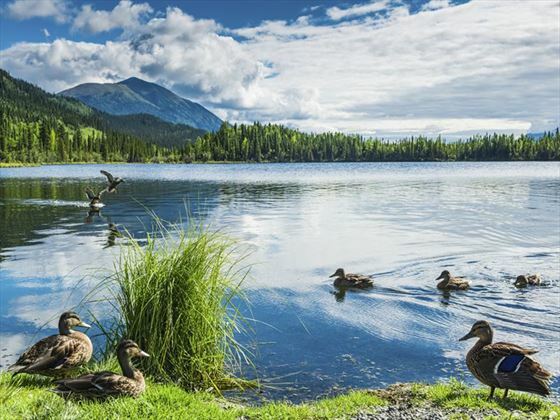 You will experience the great geographical diversity of Alaska, as you drive from dense evergreen forests and windswept mountains into the lush Matanuska River Valley. This is the richest agricultural region in Alaska, where 20-hour summer days product giant vegetables. At the end of the day you will reach Anchorage, Alaska’s largest city located at the head of Cook Inlet. Two nights in Anchorage. Today experience the modern city of Anchorage and its surroundings, perhaps enjoying a stroll through the beautiful displays of the Anchorage Botanical Gardens featuring more than 1,100 species of hardy perennials and 150 native arctic plant species. 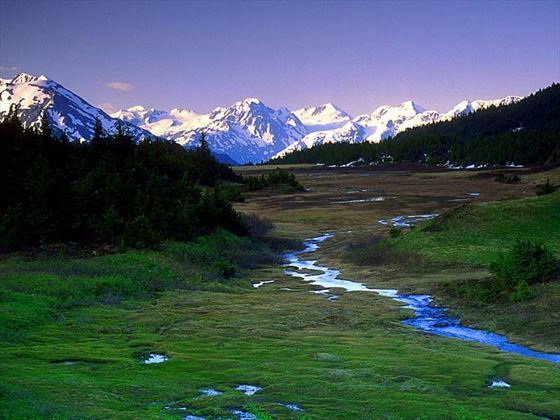 Or you could explore Chugach National Forest, a wildlife photographers paradise, also popular with anglers and hikers. Explore this historic city and relive the days of prospecting. You may choose to try your hand at panning for gold at an authentic working gold claim. Tour the historic landmarks of the city, where many of the original buildings had stood the test of time whilst others have been faithfully restored. Perhaps try your luck in the evening at Diamond Tooth Gertie’s Gambling Hall. 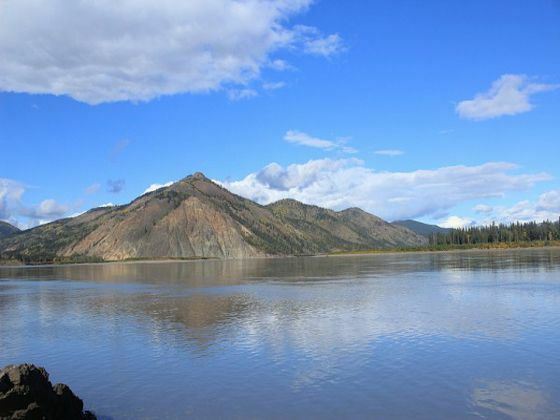 Today enjoy an included full-day scenic trip along the South Klondike Highway to Fraser in British Columbia. Upon arrival, board the world-famous narrow gauge White Pass & Yukon Route Railway to travel through areas still echoing with the hardships and fortunes of the past, Glacier Gorge, Dead Horse Gulch and Bridal Veil Falls. The route travels over the White Pass Summit before ending in Skagway Alaska. Return by motorcoach to Whitehorse. 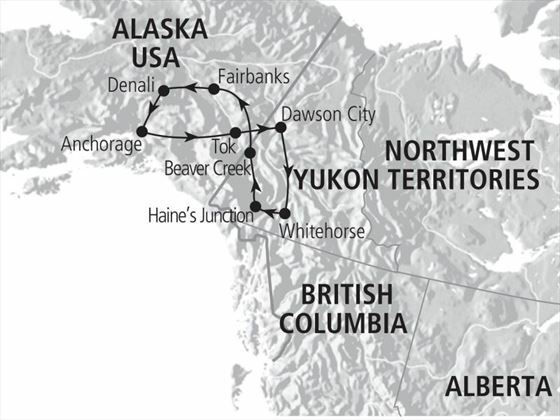 An epic holiday beginning and ending in Vancouver, including a 7 night Alaska cruise and escorted tour of Alaska and the Yukon, taking in the historic highlights of the gold rush and the magnificent scenery of the national parks. A unique opportunity to see the wonderful spectacle of the Northern Lights. 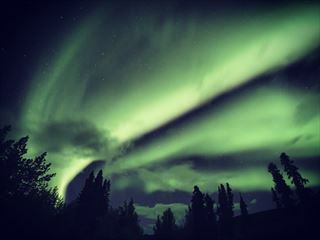 Fly to Whitehorse in the Yukon, then take night excursions with refreshments to view this natural phenomenon. This short tour can be added to any of our Canada or USA holidays.